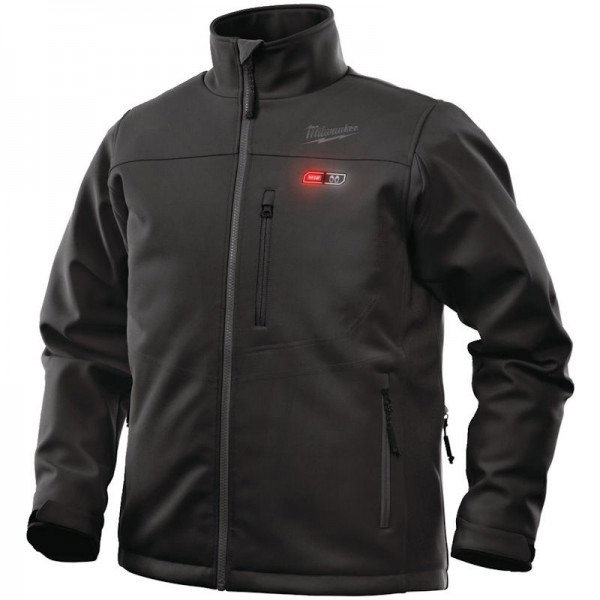 The Milwaukee M12HJBL4 is a 12v Black heated jacket with its five carbon fibre heating zones is ideal for working or playing in cooler conditions. Using a 12v 2.0Ah M12 battery you can get up to 8 hours of heat on a single charge- plenty of time to get that job completed or cheer on your favourite football team! It is also water and wind resistant. This version has been designed with extended material around the back and waist areas to help prevent heat loss and keep the user warm. Additionally it has extra material under the arms for increased user manouverability so you are still able to reach up for those jobs in tricker positions overhead. Another benefit of this jacket is the hidden 2.1A USB port to charge your mobile whilst on the move. It is fully machine washable. Compatible with a range of Milwaukee Accessories. Compatible with a range of Milwaukee Power Tools.